So in all of my years gluten free, I have never really attempted to replicate stuffing. 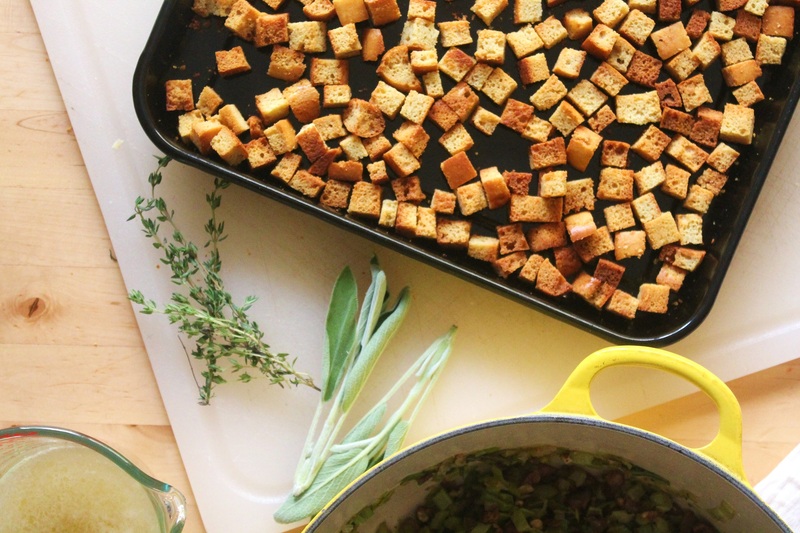 For one, growing up my idea of stuffing was from a box, I think we all know which one I am referring to. And secondly, I was never really a big stuffing person, so being new to the gluten free lifestyle, I was a bit overwhelmed and was just focused on having the basics like turkey and a few sides. 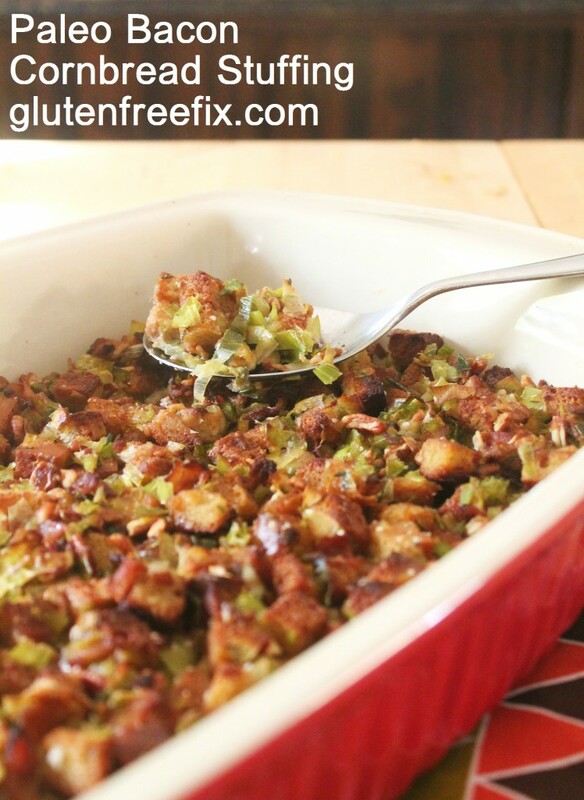 My husband really enjoyed this stuffing, he said the texture was great, flavor was on point…. his only gripe, not a fan of nuts in stuffing. So I left that optional for you to decide. I personally love the nuts and the nice added crunch they bring to the stuffing. So you make the call. Cut up cooled and fully cooked cornbread. Cut into tiny cubes (think stovetop), lay in a single layer on sheet tray and bake at 275 for 25-30 minutes until lightly golden and crispy. Remove from oven, then turn oven up to 325. In a large pan saute bacon until almost crisp. Add leeks and celery, cook on medium heat until tender about 8 minutes. Stir in butter, thyme, sage and salt. Remove from heat. Add bread cubes. In a large bowl, whisk together broth and eggs. Add vegetable and bread mixture. Add nuts. Toss to combine. Spread stuffing mixture in an even layer in a 9×13 baking dish. Dot top with extra butter. Bake for 25-30 minutes until golden brown and crispy on top. Wow!! This is like my mom’s stuffing, too! It’s always loved and requested, and….it has pecans in it, too! It’s on my menu for Thanksgiving. Thank you!! 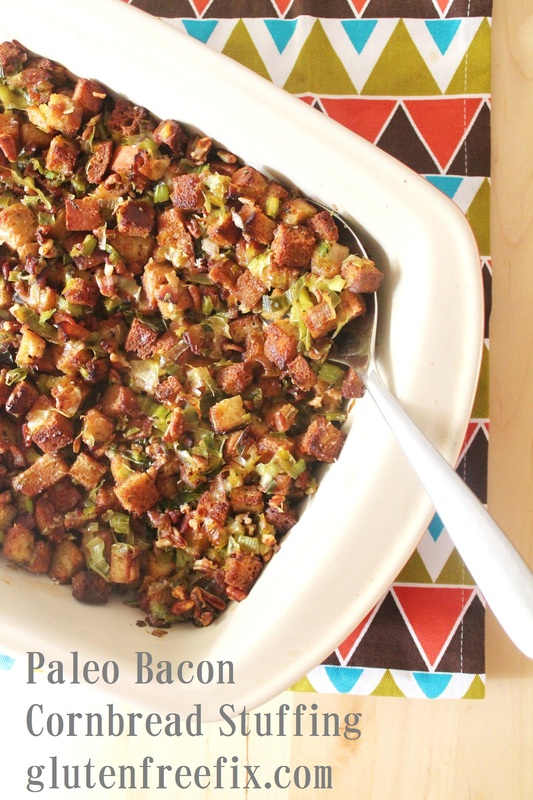 I made this for Thanksgiving & it was by far the best stuffing EVER, even pre-SCD!! THANK YOU!!!! :) Oh & I also LOVE your pumpkin streusel muffins!! Found them last year & have made them a few times since then. All my grain eating friends love them too!! I have to keep it a secret when I make them if i want them to last a few day! :) You are my hero!! I made this for Thanksgiving and it was a hit! My husband, who isn’t gluten free, preferred this over my family’s homemade (gluten filled) recipe that has been passed down several generations. Must be good! I substituted browned sausage for the bacon and onion for the leeks. 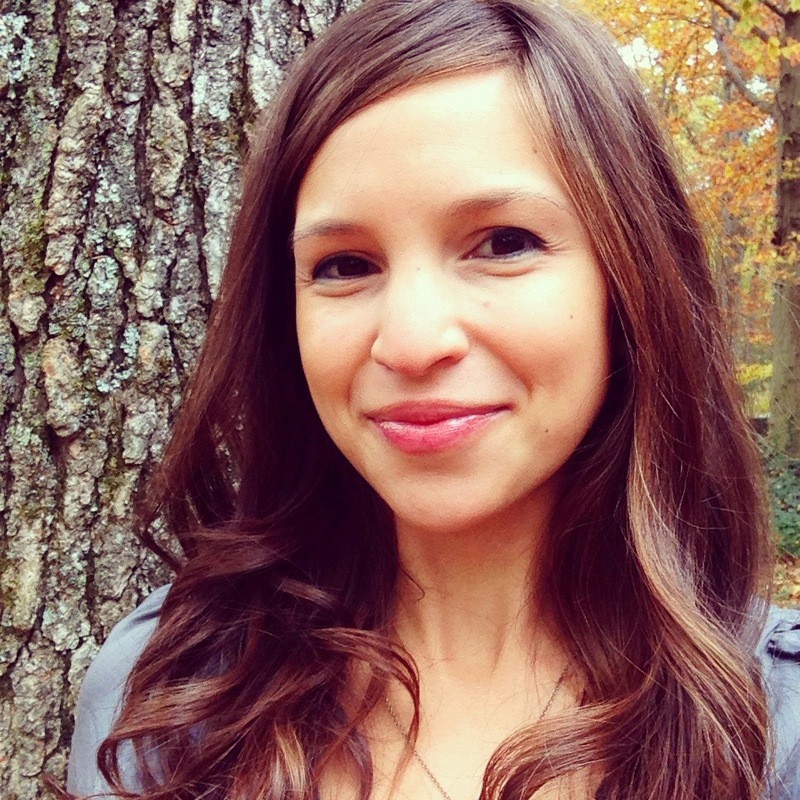 Thank you so much for all you do for us Crohn’s sufferers who have found a way to heal ourselves with food! I made this stuffing for our last night (early) Thanksgiving celebration. It was a huge hit! I left out the pecans and added 1 cup of diced apple. I sautéed them with the leeks, celery, etc. Bacon + Apple = Yum. Going to try Sausage + Apple for Thursday’s meal. Thank you Michelle!! Happy Thanksgiving to you and yours.